When Should You Use a Survey? 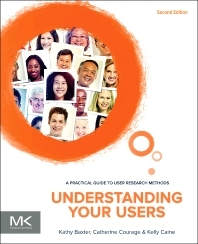 This new and completely updated edition is a comprehensive, easy-to-read, "how-to" guide on user research methods. You'll learn about many distinct user research methods and also pre- and post-method considerations such as recruiting, facilitating activities or moderating, negotiating with product developments teams/customers, and getting your results incorporated into the product. For each method, you'll understand how to prepare for and conduct the activity, as well as analyze and present the data - all in a practical and hands-on way. Each method presented provides different information about the users and their requirements (e.g., functional requirements, information architecture). The techniques can be used together to form a complete picture of the users' needs or they can be used separately throughout the product development lifecycle to address specific product questions. These techniques have helped product teams understand the value of user experience research by providing insight into how users behave and what they need to be successful. You will find brand new case studies from leaders in industry and academia that demonstrate each method in action. This book has something to offer whether you are new to user experience or a seasoned UX professional. After reading this book, you'll be able to choose the right user research method for your research question and conduct a user research study. Then, you will be able to apply your findings to your own products. Completely new and revised edition includes 30+% new content! 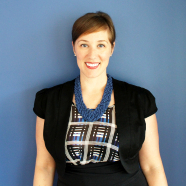 Kathy Baxter is a Principal User Researcher at Salesforce. Her research focus has spanned web search, privacy, advertising, enterprise applications, mobile, and more. Previously, Kathy managed the UX Infrastructure team, which supports research globally across Google including research ethics, participant recruitment, research labs, and the development of research tools. Prior to Google, she worked as a Senior Researcher at eBay and Oracle. She received her Bachelors of Science in Applied Psychology and Masters of Science in Engineering Psychology from the Georgia Institute of Technology. Catherine Courage is SVP Customer Experience at Docusign. Her team is focused on driving design thought leadership and execution throughout the company in order to deliver a seamless experience across all products and services. Prior to joining Citrix, Catherine was the Director of User Experience at salesforce.com. She also worked at Oracle as a Principal Usability Engineer and manager of the Customer Design Partners Program. In 2011, she was selected by the Silicon Valley Business Journal as one of Silicon Valley’s "40 Under 40" young tech leaders. She holds a Masters of Applied Sciences specializing in Human Factors from the University of Toronto. Kelly Caine is the director of the Humans and Technology Lab at Clemson University, where she leads research in human factors, human-centered computing, privacy, usable security, health informatics and human-computer interaction. She is a thought-leader who has been invited to speak around the world, has published dozens peer-reviewed papers and is regularly cited by media such as the AP, Washington Post, NPR, and New York Times. Kelly enjoys teaching students to become scientists, and has designed and taught courses on research methods for understanding people and their relationship with technology at universities and in industry. Prior to joining Clemson, she was Principal Research Scientist in the School of Computing at Indiana University and a UX researcher at Google (where she and Kathy first met!). She holds degrees from the University of South Carolina (B.A.) and the Georgia Institute of Technology (M.S. and Ph.D.).